An energy company whose mission is to reverse more than three decades of rising energy costs in the residential and commercial property sectors. This Nebraska startup is focused on local solutions to national problems by utilizing the strong pioneer spirit of America. Energy Pioneer Solutions put into practice a very practical idea; to make our homes and buildings energy efficient. To tighten them up. 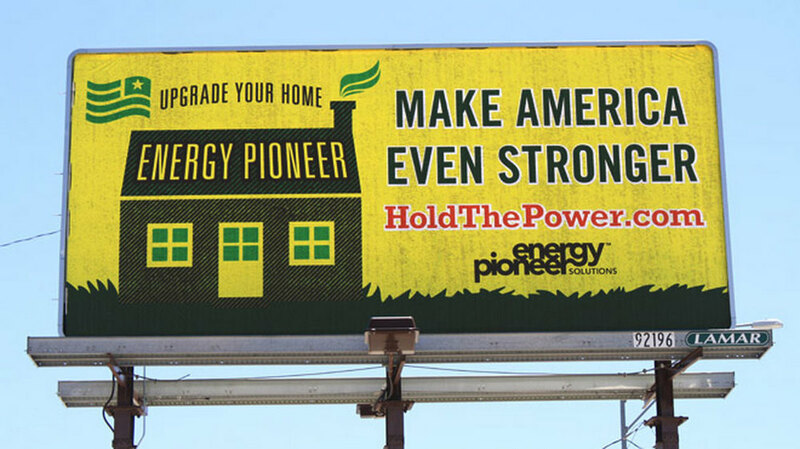 To put the power back in the hands of the homeowner, allowing people to save money, have a more comfortable home and to do the patriotic thing. After all, the greenest energy we have is the energy we don’t use. The work focused on the design of a new website and extending the brand with a formalized identity, additional iconography and ways to clearly tell the story of energy-savings. A collaboration with The New BLK.